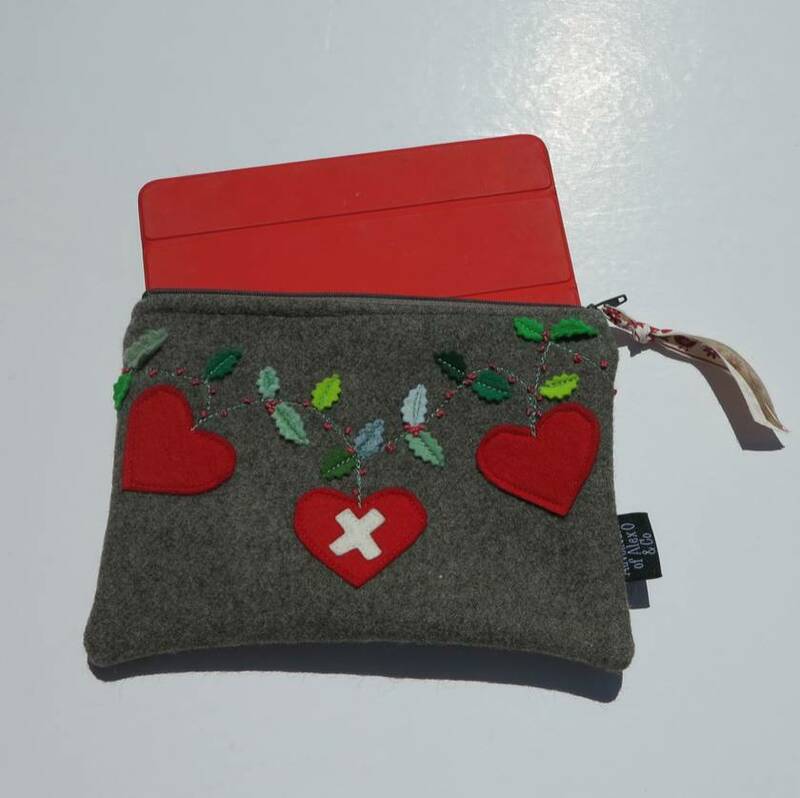 Mini Ipad Case or Kindle Case " Hearts and Vines"
Protect your new tablet from dust and scrapes with a cute handmade Case by "Adventures of Alex O & Co"
Our cases are designed to keep you productive, portable and cute. 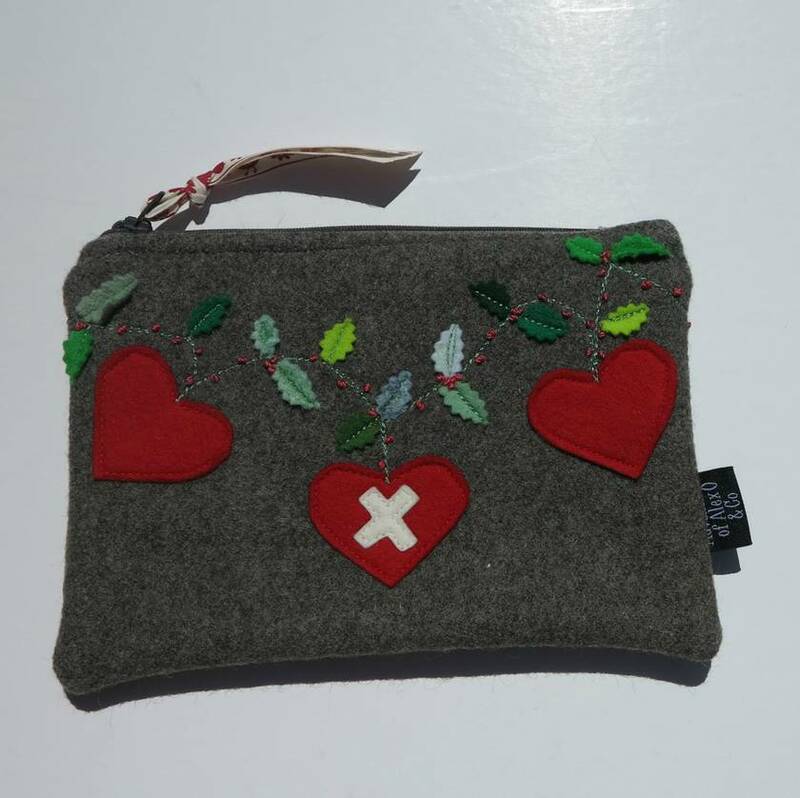 This lovely case is made from 100% pure wool recycled blanket that has been felted. 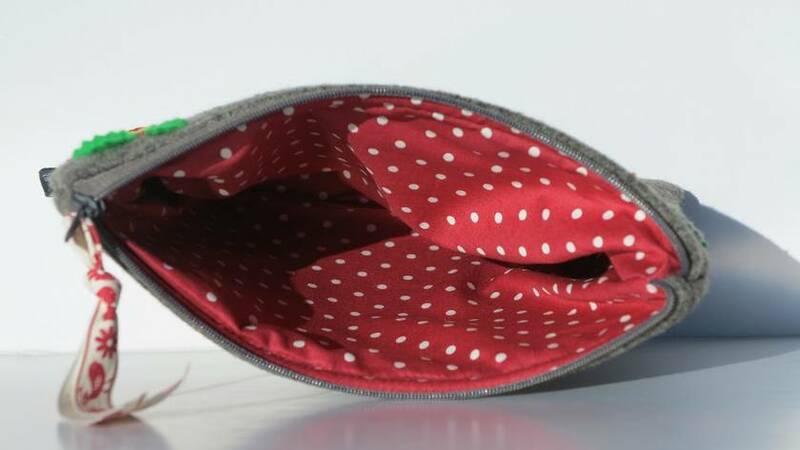 It is lined with 100% cotton breathable fabric. The design on the front is made from wool felt and is both machine and hand appliqued onto the case. I do other styles see my other listings. Contact alexoandco to enquire about payment or shipping options. "You only live once......................live beautifully!"